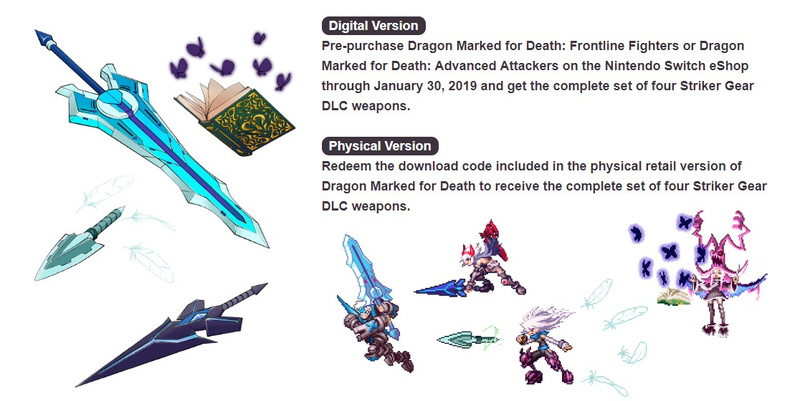 Dragon: Marked for Death by Inti Creates was first announced during the 2017 Nindie Summer Showcase. Since then, its release has been repeatedly pushed back. Fortunately, the digital version was locked in for 31st January 2019 not long ago (in both Europe and North America) and now the publisher has Nighthawk Interactive has officially confirmed the physical version for these regions will be out on 26th March. This version will set you back USD$49.00. If you do opt with the physical game card, you won't have to worry about any of the DLC as it already contains both character packs. First-print copies of the physical editions will also contain the "Striker Gear Pack" downloadable content. To read more about the DLC, click here. Can you hold out a little bit longer for the physical release? Tell us below. Been waiting for more news about this. It's one that's on my list of games I still need to preorder. Can't wait. Day one buy. It's getting a physical release in both America AND Europe! Fantastic, where do I pre-order? I really need to grab a 400gb card when they drop again. So many wonderful games this year. Been excited for this and WarGroove and they are both so close now! @zionich I feel the same, though the real hype for Wargroove started once they announced release date. Well i will buy it two times anyway, because i enjoy such games more if i can run it on the console itself without swap the cartridge, so i will buy the digital edtions (Frontline Fighters i already have, the advanced fighters i will buy on february) for playing purpose and the physical for my collection! Good, a chance to spread the costs out a bit further down the line. I am being a little wary as Azure Striker wasn’t as good as I had hoped. Hoping this has more of a MMZ vibe especially in the close quarter combat. 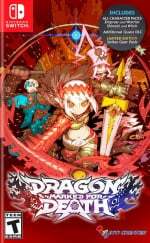 The Japan has more to offer with the game plus more DLC. Ill definitely wait for physical. My free time, and storage are both shrinking. Waiting for a NA release. So, for the digital versions, it's 2 separate games? With separate savefiles? The whole split release thing is super confusing. @SmilingPluvius What I saw in the eShop was you can pick which primary version you want to buy (Frontline or Advanced) and then later purchase the DLC to add the other 2 fighters. Would assume 1 save file with either 2 or 4 fighters depending if DLC is purchased. NA is here but doesn't have the package the Japan has. Why does NA get hated so much here? Why is the digital release 2 different character packs?